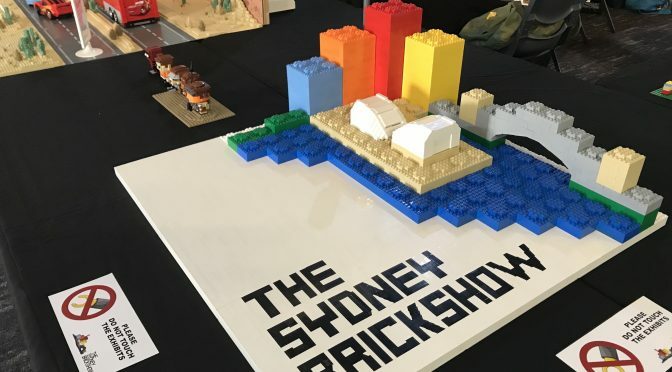 SydLUG members were among the exhibitors at the recent Sydney Brick Show (April 21-22), Sydney’s premier LEGO fan event. Over 100 displays were presented over two days to more than 5000 visitors to the show. 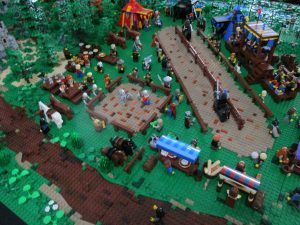 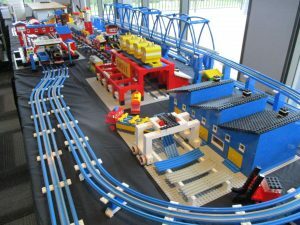 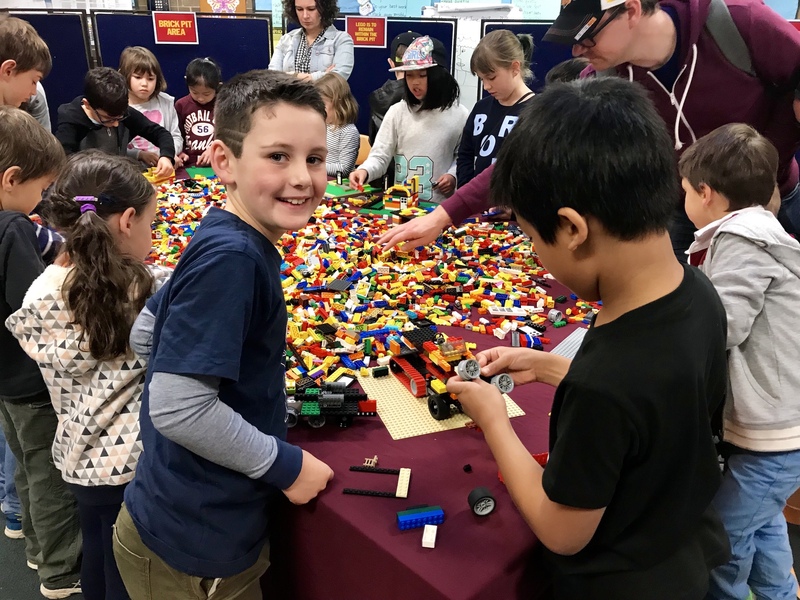 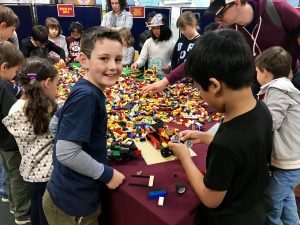 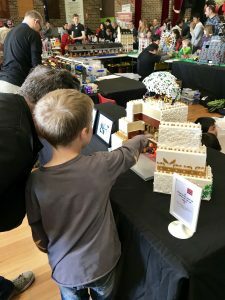 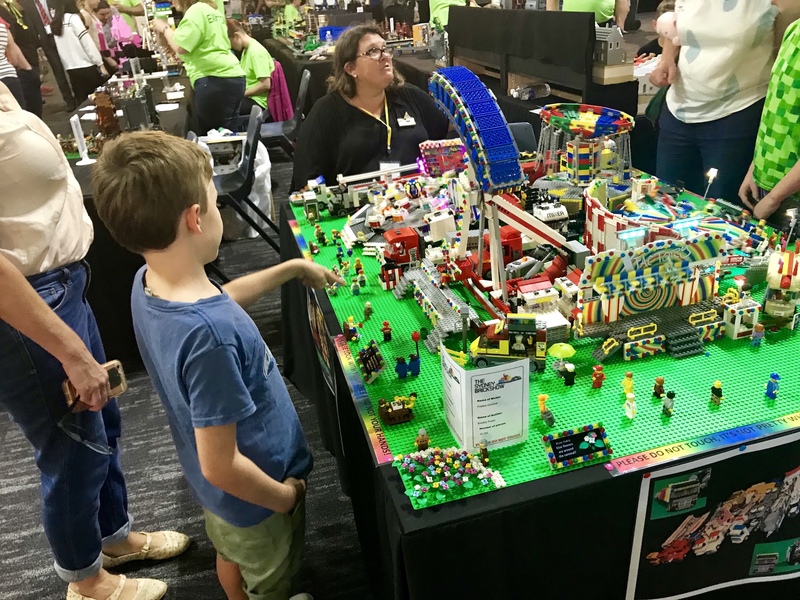 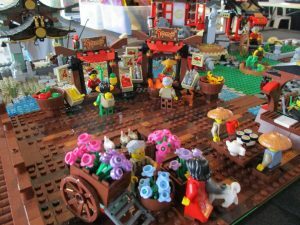 Previously held at Sydney Town Hall, this year’s show, held at Penrith Panthers Pavilion, was more accessible to the thousands of LEGO fans and families in greater Western Sydney and raised money for local disability charity, NADO (Nepean Area Disability Organisation). 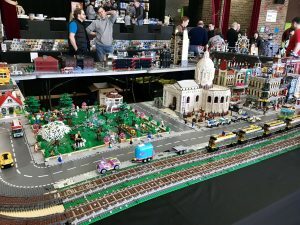 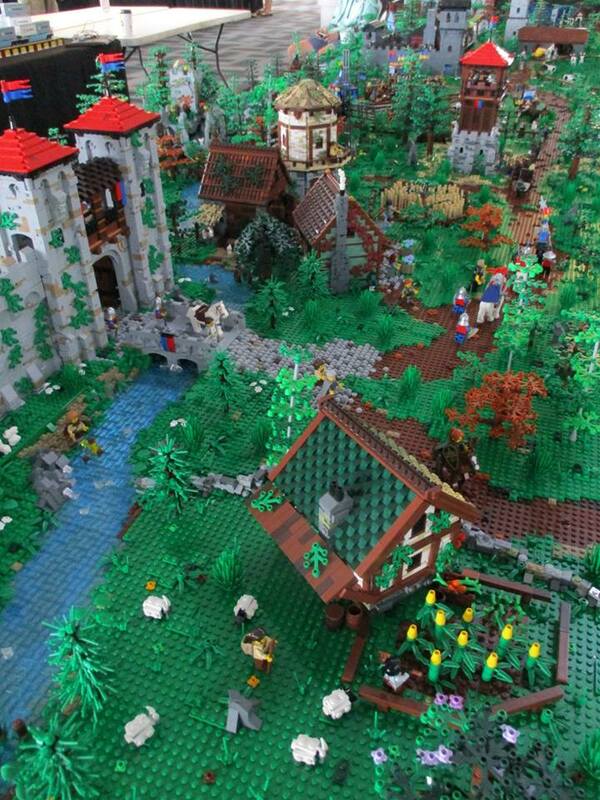 Prior to the show SydLUG members set the goal of beating the world record for the most Minifig habitats displayed (1090). 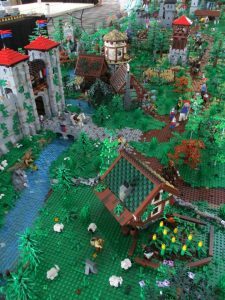 For the uninitiated, a minifig is what we call a LEGO person/character and the habitat is a diorama or vignette contained within an 8 x 8 stud baseplate. 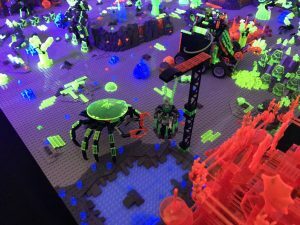 The habitats were oozing with creativity, humour and clever techniques and parts usage, and an excellent inspiration for those wanting to have a go at building something of their own. 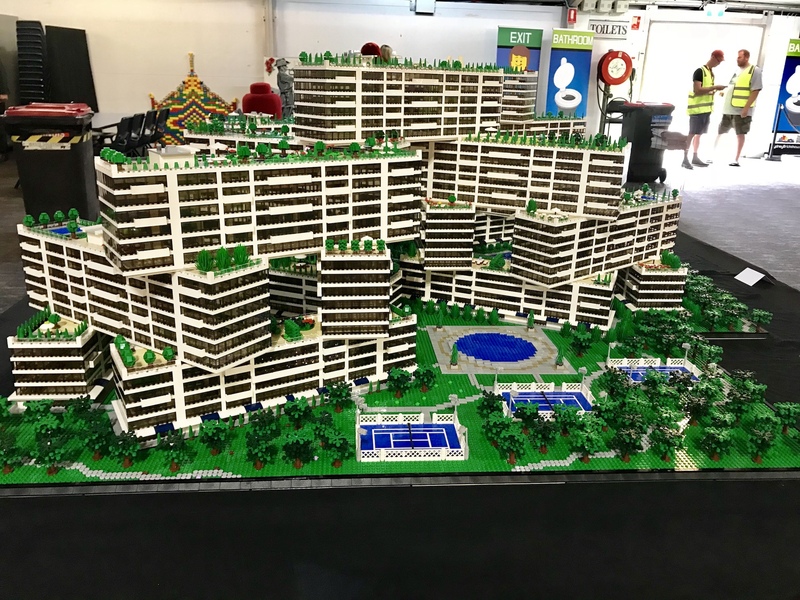 37 members, with the help of some non-SydLUG exhibitors, smashed the record out of the park, with a total of 1547 habitats being displayed in an impressive wall configuration. 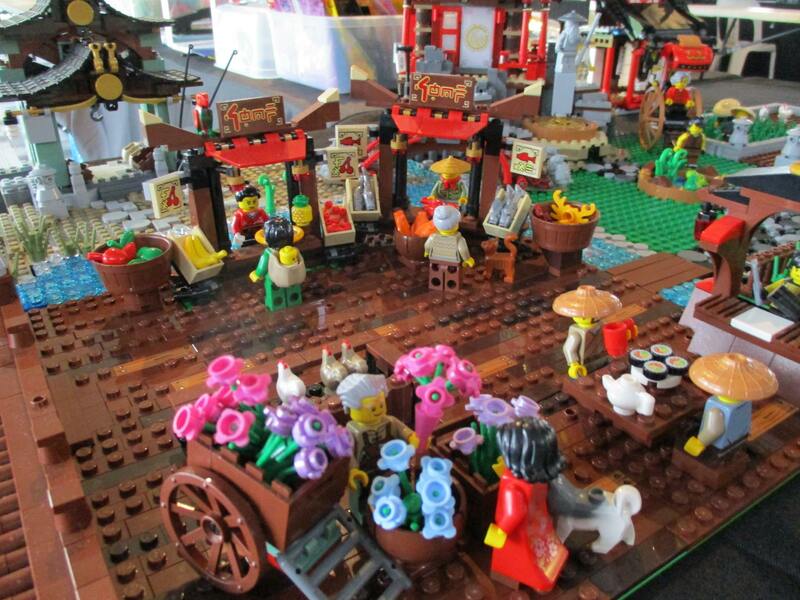 A fitting celebration of the Minifig’s 40th anniversary this year. Another of the highlights of the show this year was a massive galactic frontier themed collaboration (5 x 2 metres) showcasing the work of 12 members of the Sydney LEGO User Group. 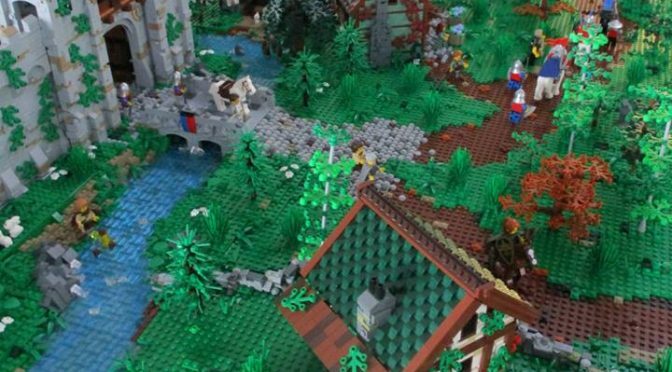 The show’s mascot, an innocent spaceman named Apollo, found himself on a distant world where a rare ore named LEGOtonium had been discovered. It was a tough frontier world with all manner of aliens trying to discover their own plot of LEGOtonium. 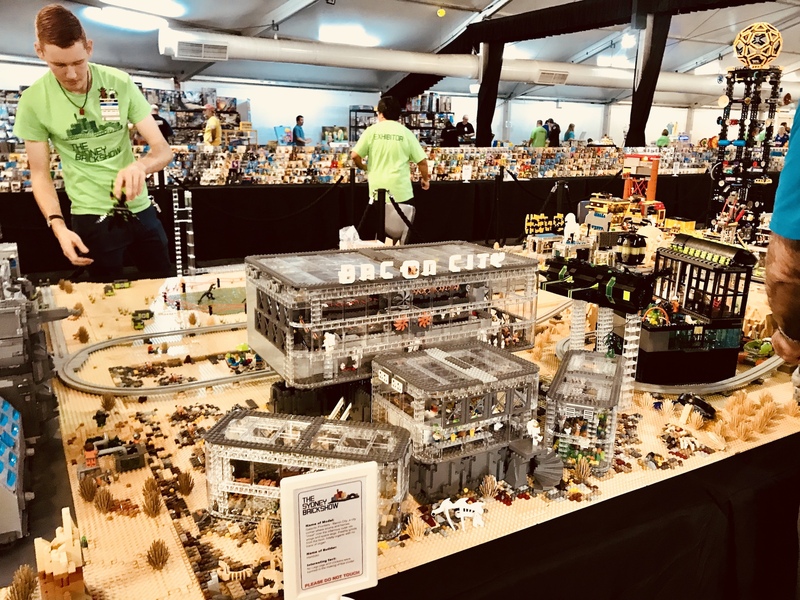 Creativity and humour collided in this amazing display that included ‘Bacon City’ – the city corner where heroes and scum ‘meat’ over the infamous outer rim wings and space hotdogs. 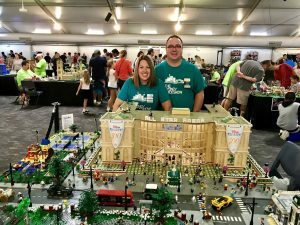 SydLUG members were among the major award winners at this year’s show, ‘Best in Show’ going to SydLUG husband and wife team, Gavin and Samantha, who created a detailed city themed moc – ‘All Star Arena Precinct’, comprising a huge arena, church, playground, park, tennis courts, brick-built roads and modular style buildings. 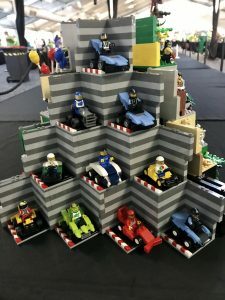 Over 400 minifigs were used to bring the scene alive and the arena was left open at the back to showcase the ice rink where ‘Disney on Ice’ was taking place. 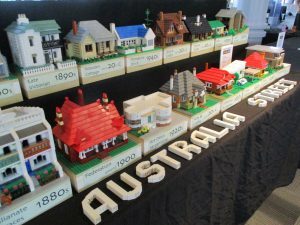 Four unique sets for the show were changed out every fifteen minutes and proved a crowd favourite. 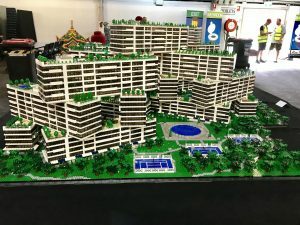 The ‘AFOL’s Choice’ was an impressive moc of the Singaporean apartment complex, The Interlace, by SydLUG builder, Graham. Built using around 95,000 pieces and taking 10 months to complete, the creation is a beautiful example of an architectural style build in microscale. Another SydLUG award recipient was Bradley, with ‘Foster’s Carnival’, which was Highly Commended. The moving parts carnival rides were amazingly life-like, down to the trucks built for them to be ‘transported’ on. SydLUG member, Joel, was recognised for ‘Creative Use of Parts’ for his display, ‘Under a Black Sun’, which was set up in a tent with special UV lighting shining on trans LEGO creations to produce a mind-blowing effect. 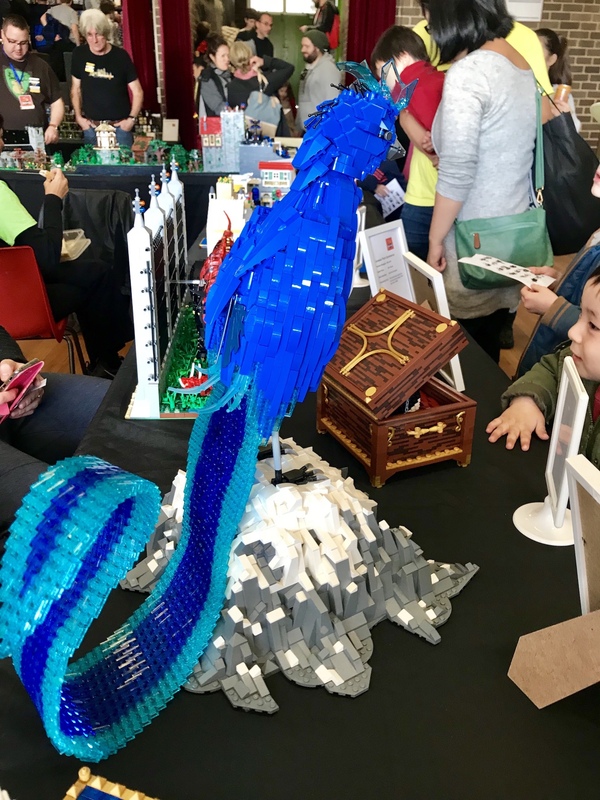 All displays were well-received by the crowd and exhibitors had a very positive show experience, sharing their passion and hard work with the community and catching up with each other to talk bricks and pieces. 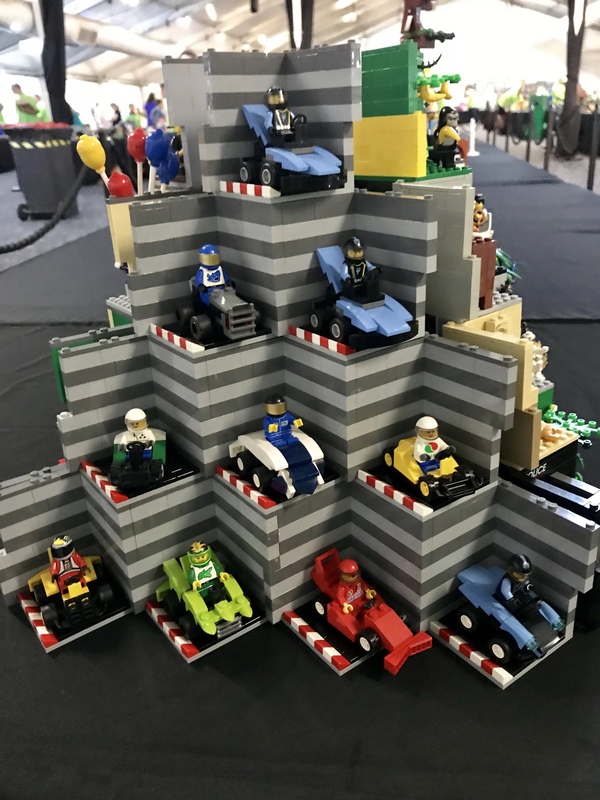 The show also boasted a children’s building competition (with winning entries on display on Saturday 21 April), a kids free building area with LEGO graffiti wall, a remote controlled LEGO race track and meet and greets with costumed characters.